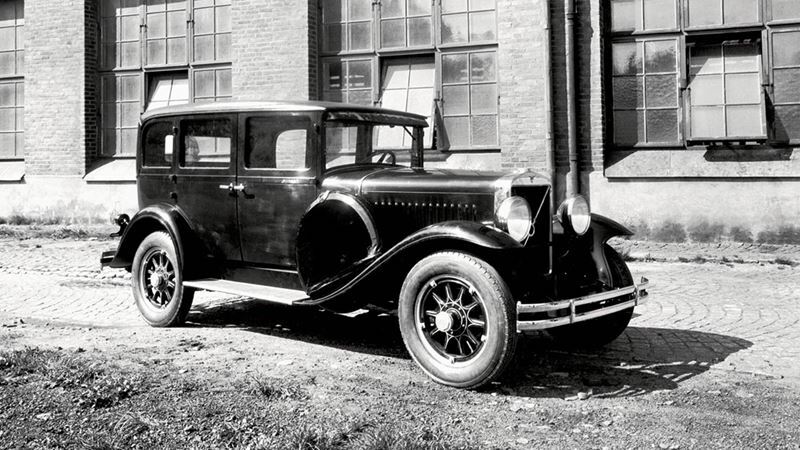 The first six-cylinder Volvo engine was ready in 1929. The first car to be equipped with this DB engine was the PV651. The engine had a capacity of just over 3 litres and the output was a modest 55 bhp. It had the luxury of a fully-balanced crankshaft, and it was a strong and flexible unit, two properties that characterise the in-line six as a technical design. In-line, 6-cylinder with side valves; 3,010 cc(183.6 cu in) 76.2 x 110 mm, 55 bhp at 3,000 rpm. 3-speed with floor gear lever. Mechanical drums on all wheels. Wheelbase 116 in; weight approx. 3,310 lbs. The first 6-cylinder Volvo passenger car.